Thank you for your interest in Participate. Each year, we publish an impact report highlighting company milestones and other notable information. In 2017, Participate (formerly VIF International Education) celebrated 30 years of working with teachers. We also changed our name and continued developing our continuous learning platform. 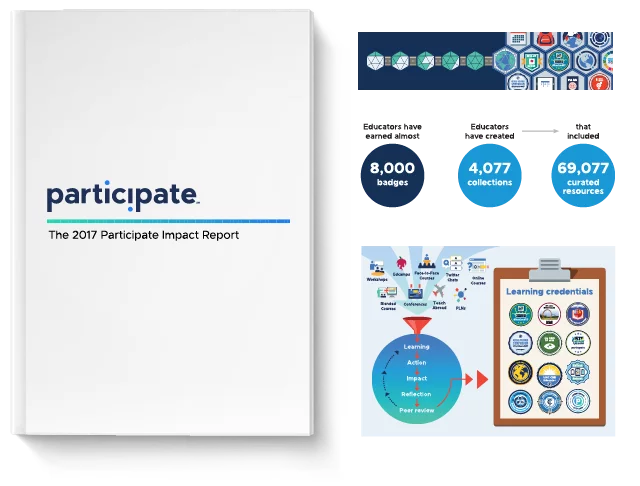 This report features feedback from teachers and schools in our program, student achievement results, and next steps for the future of the company. Click the Download button below to read our 2017 Impact Report. Partner with us to bring dual language immersion, educator support, professional development, and an international outlook to your school. We'd love to have you as a member of our network supporting teachers and students.